"CSR: A Cornerstone of our Enduring Success"
At Gargi, social responsibility is a core thought, not an afterthought. We view safe workplaces, ethical business practices, human rights and good neighbor initiatives as the bricks and mortar of our company character. We at Gargi have defined a set of core values for ourselves – Care, Innovation, Passion and Trust – to guide us in all we do. 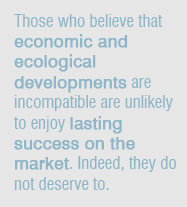 We, therefore, are aware of the need to work beyond financial considerations and put in that little extra to ensure that we are perceived not just as corporate behemoths that exist for profits, but as wholesome entities created for the good of the society and for improving the quality of life of the communities we serve. As a constructive partner in the communities in which it operates, Gargi has been taking concrete action to realise its social responsibility objectives, thereby building value for its shareholders and customers. In the past four decades, Gargi has supported innumerable social and community initiatives in India. Touching the lives of thousands of people positively by supporting environmental and health-care projects and social, cultural and educational programmes. Every year, Gargi sets aside a fixed portion of its profits for spreading smiles in thousands of lives across the country through a comprehensive community welfare and development programme. 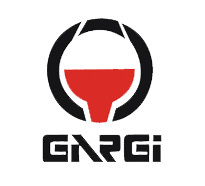 With safety, health and environment protection high on its corporate agenda, Gargi is committed to conducting business with a strong environment conscience, so as to ensure sustainable development, safe work places and enrichment of the quality of life of its employees, customers and the community. In the following pages, we have attempted to collate a few representative glimpses of our social responsibility initiatives. We hope it will be of interest to you.